Saturday night at New York Comic Con played host to Marvel and Netflix’s newest series, Iron Fist. 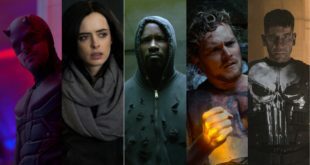 The series, which finished filming its first season at 9 AM that same day, debuted five clips showing off Danny Rand, the titular hero, as well as the supporting characters around him. 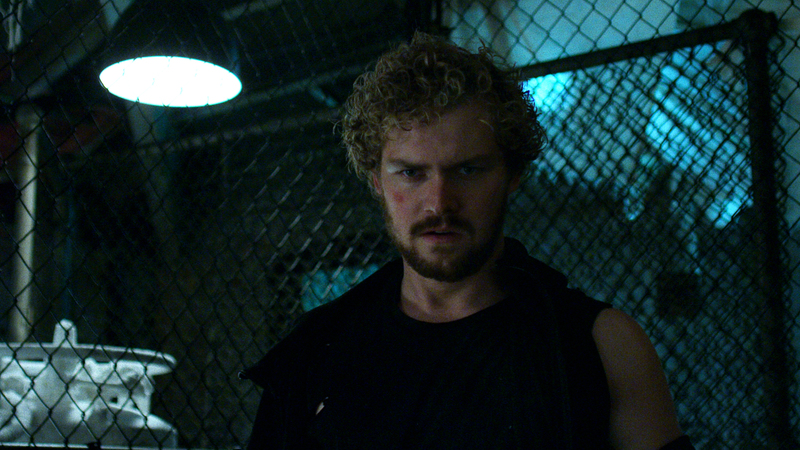 The first clip of the Iron Fist panel finds Danny Rand returning to his old stomping ground in New York City. Unfortunately for Danny, he looks more like a homeless hipster as he walks barefoot around the city. He stops by a hot dog vendor and tells the man, “That’s my building,” as he points to the Rand building. Danny arrives at the Rand building and asks the receptionist that he is there to see his deceased father’s business partner, Harold Meachum. The receptionist isn’t having any of it from the homeless looking Rand and has security throw him out. Rand quickly reenters the building and begins a swift dance of light violence as he takes out the guards that try to stop him on his way to the elevator. It’s quite evident in Rand’s movements at how calm and masterful he is over his movements. The first clip was a great taste of Rand’s mastery of his abilities. If Rand was happy-go-lucky in the first clip, he’s the complete opposite in the second clip of the panel. The scene opens to a fancy restaurant where Joy and Ward Meachum are interrupted by a pissed off Danny Rand over what appears to be a dispute about the business. Joy and Ward seem to have no love for their old friend who they had assumed was dead. Danny threatens that he now has Hogarth (Carrie Ann-Moss from Jessica Jones). “You can’t deny what’s mine, what my father meant for me to have,” Danny yells before smacking a glass across the room. The scene opens with Danny Rand waking from his sleep, tied to his bed, in what appears to be a dream/drugged state to find Harold Meachum sitting next to his bed. “Danny Boy,” Rand deliriously answers causing Harold to start humming the song. Harold presses Danny on what happened to him. Danny explains he was taken under the care of the Crane Mother (aka Madame Gao from Daredevil) in K’un-Lun, one of the seven capital cities of heaven. In K’un-Lun, Danny became a warrior where he “only felt alive in the middle of a fight.” He became one of the immortal iron fists. Danny also claims he is the only one who can destroy The Hand (the enemies seen in the second season of Daredevil). 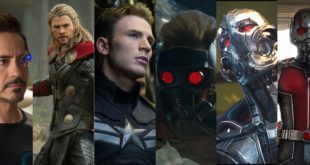 It’s not a Netflix Marvel show without a hallway fight of some sort. A blonde woman (I’m guessing Joy Meachum, but can’t say I’m 100% sure) is being kidnapped by Asian men carrying axes. The highlights of the fight are Danny’s swift movements as he quickly takes down his opponents. 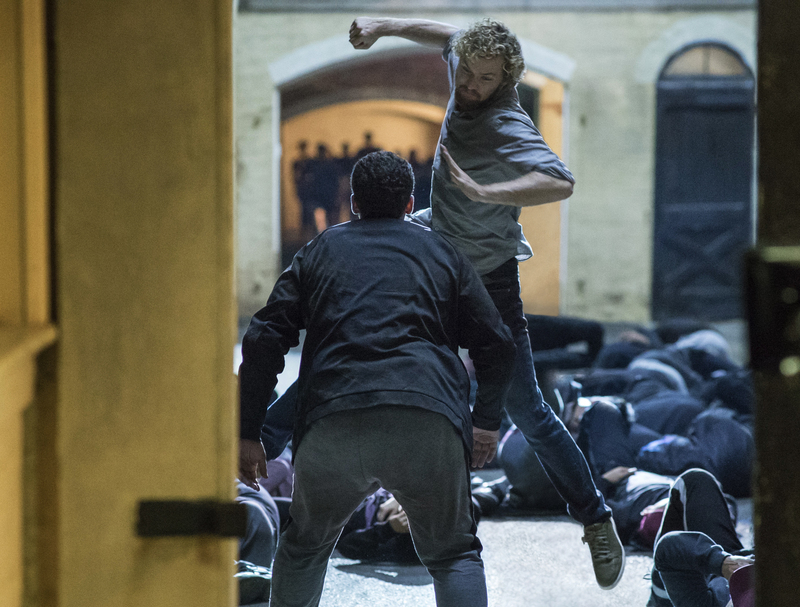 The action is closely comparable to Daredevil, but Danny’s fighting style is vastly different from Matt Murdock’s. The scene is also filled with slow-mo shots as Danny puts the beat down on his enemies and dodges axes. While the show is called Iron Fist, it wasn’t Danny Rand but Colleen Wing who brought the biggest reaction out of the crowd. The clip opens to the beginning of a cage fight where Colleen is facing off against two giant men. 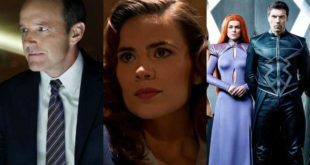 Her takedown of both men is one of the most brutal scenes I’ve witnessed from any of the Marvel shows on Netflix. The fight alone is filled with blood and countless broken bones.